Now that my project on methods to appraise properties with ADUs is done and off to the journal for review, I wanted to follow up with a few thoughts on where to go next. Should proponents of sensible housing (such as ADUs) work most on activism, or research? If one accepts all the potential benefits of ADUs as real, then the most productive thing for an advocate of space-efficient housing to do is be an activist — for example, to lobby the big GSEs for policy changes related to appraisals and loans, or to work for the creation of ADU-specific financing programs. On the other hand, the big demographic changes coming in the next few decades mean policies and trends starting now are a really big deal for the environment. In one way or another, millions of housing units for 1 or 2 persons are going to be created. So as great as my personal experience with ADUs has been, I still think it is worth looking into the verity of claims about ADUs, and finding ways to estimate their environmental impact. Should ADUs be just one of a number of strategies for providing those millions of units, or are they so superior that they should be pushed as the most important strategy? 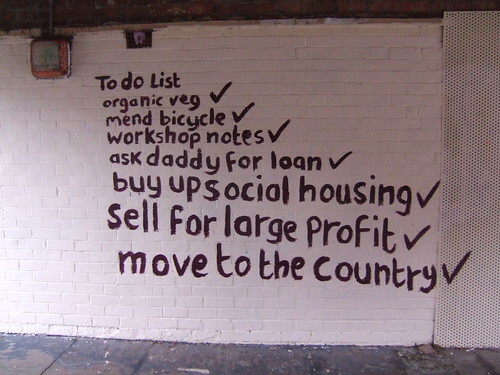 If you have thoughts about the following agenda, or anything to add to it, I’d like to hear it. Accessory dwellings, also known as backyard cottages, granny flats, and ADUs, have been stuck in “good idea” limbo for 30 years. Why have ADUs remained more of an idea than a reality? My recent work on appraisal methods for properties featuring ADUs2, supported by The Appraisers Research Foundation, suggests several possible reasons that I believe merit followup. I believe that with the right mix of research and action, accessory dwellings can start to realize their true potential. Problem: Basic facts about ADUs and their developers are still unclear. Solution: On a local or regional basis, conduct simple surveys of existing ADU owners. The standard discourse about ADUs goes like this: Advocates, for example planners and activists for the aging, list the many potential benefits of this form of micro-development. ADUs promise to provide infill housing that increases density without changing neighborhood characteristics, foster multigenerational living and aging in place, and provide homeowners with a legitimate source of rent income, all in a package with a low environmental footprint. Meanwhile, when opposition to ADUs exists, it is on the basis that ADUs might reduce “single family feel,” parking availability, and property values. The problem with this discourse, for ADU advocates and opponents alike, is that these benefits and fears are largely hypothetical. So few permitted ADUs have existed it has been difficult to study their effects. But now, with the uptick of legal ADUs in places like Santa Cruz, Portland, and Seattle, this situation can change. A simple survey of existing ADU owners, asking questions such as “Why was this ADU developed?” “How many people live there now?” “How large is it?” “How much rent is charged?” and so on, would provide an invaluable baseline of information usable by practically everyone considering this type of development. For example homeowners will be interested in construction cost; environmental advocates will be interested in building size; and planners will be interested in household size. Perhaps the most important subjects for such a survey are the homeowners and ADU occupants themselves. Though ADUs are often presented as an answer to civic and societal needs, it is individual homeowners, rather than professional developers, who are currently expected to create these housing units. Homeowners take on the risks and rewards of the development work. Though there exists a smattering of interesting research results like these, such work predates the housing bubble and crash and the current uptick in ADU development in west coast cities. A fresh characterization of successfully developed ADUs and their homeowner-developers would allow governments to target their efforts, and homeowners and lenders to size up projects, more intelligently. Problem: The financing and appraisal system does not recognize rental income. Solution: Lobby lenders for income-based appraisal and underwriting. Though evidence about successful ADU developers is fragmentary, one theme comes through strongly: the most common motivation for developing an ADU is economic. Homeowners who develop ADUs are not often wealthy. They want the extra income available from renting out one of the two units on their improved property, but generally do not have $50,000-$150,000 cash available for ADU construction. They must borrow for ADU construction, which is difficult. Though many existing ADUs were financed with home equity lines of credit or cash-out refinancings, these methods are often unworkable now. Between higher lending standards and the current drop in appraised values, many would-be ADU developers do not have enough equity to refinance. ADU advocates might free up this logjam by finding ways that income can be used as security for a construction loan. On a local level, they might lobby portfolio lenders to allow the use of the income perspective in appraisals and lending decisions. On a national level, they might ask the same of national mortgage repurchasers such as Freddie Mac. More ambitiously, ADU advocates may wish to create an publicly or privately funded lending program specifically devoted to ADU construction which uses income as security. One model is provided by New Avenue Homes, a private contractor and developer in Berkeley, California. As described to me by Kevin Casey, New Avenue’s founder, New Avenue agrees on a construction price with the homeowner, creates the ADU for little money down, and then becomes, in effect, a second mortgage holder on the property, with an express interest in any rent generated from the property. New Avenue plans to stay involved with the property long term and often act as landlord, receiving rent payments, applying them to the loan, and sending any surplus back to the homeowner. It is a bold and creative solution that could be copied in other markets. However, it demands an organization willing to be involved long term, or at least until more traditional methods of financing can step in and take over. Problem: The demographic demand for and development potential of ADUs have not been matched. Solution: On a local or regional basis, conduct research that compares demographic need to development opportunities. One reason for the intense interest in ADUs among groups like the AARP is their clear relevance to housing an aging American populace. The US Census projects that between 2010 and 2030, the number of Americans 65 years and older will grow from 40 to 72 million, and from 13% to 19% of the population. There could be a need for millions of new housing units suited to one or two persons, moderately priced, and at least somewhat accessible. Meanwhile, the great majority of older persons prefer to stay in their homes and communities as they age. In this context, ADUs seem like a slam dunk. Aging persons might move into reasonably sized and accessible homes on familiar grounds, without losing their current community connections. No new land supply is needed, since ADUs are developed on existing single family properties. But beyond this basic argument, communities have not investigated the capability of ADUs to meet the upcoming need. Governments could test the true potential for ADUs with a line of research that estimates demographic need, and then pursues how many new ADUs might reasonably be created on existing single-family properties. An extension of the same work might estimate the environmental footprint associated with that many new ADUs, in contrast to an equal number of more traditional developments. For example, the Metro (Portland, Oregon) regional government projects that by 2030, the area within the regional urban growth boundary will need an additional 27,400-104,900 housing units. Many of these will be for 1 and 2 person households. Though there are more than 148,000 single family properties in the area on which ADUs would be allowed, by zoning, clearly not all of them are strong candidates. A study identifying the nature and number of the most promising properties for ADU conversion would go a long way to evaluating whether ADUs should be a major focus of future development, or just another tool in the housing toolbox. 1. ADUs are little-understood and occasionally controversial because basic facts about them are still unclear. Therefore, conduct simple local or regional surveys of ADU owners and tenants to provide an essential baseline of fact for planners, homeowner-developers, and lenders. 2. Financing is currently a major barrier to ADU development, largely because ADU rental income is not recognized by the lending system. Therefore, lobby lenders and loan repurchasers such as Freddie Mac to recognize income-based appraisals for properties with ADUs. More ambitious, create a lending program that uses ADU rental income as a direct source of security for an ADU construction loan. 3. ADUs seem to have gigantic potential to address the increasing aging population and their needs for small and accessible dwellings, but the exact potential is unquantified. Therefore, on a local or regional basis, estimate future demographic needs for 1- to 2-person housing units and compare them to the number of properties best suited for ADU development. 1 431 properties out of 148,000 zoned R5; data from Bill Cunningham, City of Portland, phone interview, August 30, 2011. 2 Martin J. Brown and Taylor Watkins, “Understanding and appraising properties with accessory dwelling units,” submitted to Appraisal Journal. 4 Chapman N. J., Howe D. A. (2001) “Accessory Apartments: Are They a Realistic Alternative for Ageing in Place?” Housing Studies. 16(5):637–50; also San Francisco Development Fund (1988), Small Solutions: second units as affordable housing: the evaluation of the Double Unit Opportunity Program of the San Francisco Development Fund, 1985-1988. 5 Martin J. Brown and Taylor Watkins, “Understanding and appraising properties with accessory dwelling units,” submitted to Appraisal Journal. Having just completed construction of a 750 square foot ADU, we had hoped to leverage what we considered an increase in value to take out an equity line of credit to renovate the main residence. I was shocked to discover that our $150,000 investment added not a penny to the appraised value of our property. I would have at least imagined that the ADU square footage could be added to the GLA of the main residence, but so far not. How is this possible? Is there no standard appraisal methodology for assigning fair market value to an ADU (where there is no plan to rent out the unit)? Robert, you ask if there is a standard appraisal methodology for these properties. The answer is no. Certainly my work with Taylor Watkins has been aimed a encouraging a standard method. We proposed one method in this work and you can read the full appraisal formulae in our draft manuscript here. Our method is based on rental income, yes, but it doesn’t really rely on a plan to rent the place out, it just needs it to be possible to rent the place out. The lack of a standard methodology, plus various misconceptions about the reality of ADUs, seem to be leading appraisers and lenders to be unrealistically conservative about the value of ADUs. See the manuscript for the full details on that, but to make a long story short I’m not surprised that your ADU didn’t add to the appraised value. Depending on how the appraiser treats things, for example, my own ADU could be worth $10K or $100K. In situations like this it’s easy to feel cheated somehow, but a more philosophical view might help. There are many ways to measure value. Immediate resale value is what your appraiser is probably looking at. Long-term investment value is another thing… for example, your ADU’s capability to produce income is likely considerable, whether you take advantage of it or not. Finally, beyond the realm of dollars and cents, there is functional and emotional value, and no appraiser can take that away from you. If you’re not planning to rent it out, presumably you built the ADU for some reason, right? Whatever that was, the ADU can still fulfill it. We’d love to hear the story of your ADU if you want to share it. We could make it a new post on this site. Cheers! In Honolulu, an “Ohana Unit” (equivalent to an ADU) would add more value than say an addition that is used as a separate rental but not permitted for such use. How much exactly does it add is not clear; i’ve asked the property tax appraisers. However, market value between the two uses (legal ADU vs additional space) is identical. That is, people who Buy these homes do not seem to distinguish whether the use is allowed/legally permitted or not. The prices sold seem to be higher in both cases, as compared to a home configured as a single-family unit (w/o a separate rental unit). Hawaii legalized Ohana Units statewide in the 80’s, before California. And the property tax office should have data for analysis. Of further interest is the effects of condominiumizing the main house separate from the Ohana Unit. There’s another way to “appraise” the value of the ADU. You can consider what it will save you and your family. If you really think about it, the benefits are staggering. – A child lives there instead of renting an apartment and saves ~$12,000-$24,000 per year on rent. – A senior parents lives with you for 10 years instead of assisted living which might cost $40,000-$70,000 per year. – Caregiving for both grandkids provided by a grandparent or vice versa. This is going to vary wildly by small home to small home and from year to year – but imagine if you get many of these over 10 or even 20 years and you can literally keep $1,000,000 dollars within your family. One, Million, Dollars… sounds crazy, but do a little budget and you’ll see it happen. But I’d stress, the value is great, but isolation is one of the biggest issues for people as they age and nothing compares to having your family/friends around for most of your life. Great article. I am in a battle right now with my lender on the value of my adu. I built it in 2009 and hoped to gain value. I now have plans drawn for a house remodel and the appraisor only valid my adu at 10k when it cost over 50 k to build. I built it out of pocket and permitted it shortly after we bought the house. The plan was to live in it while we tear the house down and rebuild. After construction is complete we will rent it out. Unfortunitly the my appraisal came in short based off my plan set. The appraisal just threw random numbers at the adu ultimitly valuing it the same as unfinished unheated storage. I called bull S and now have a appointment with the bank VP on Monday. He is reviewing my file now.The appraisor was arrogant and wanted to argue with me while discussing the adu. I think most of them are uneducated on the potential value of days so they resort to lowest possible value. Thanks for the story, Adin. I don’t know if it will help, but have you seen the Appraisal Journal article about appraising properties with ADU’s using the income method? 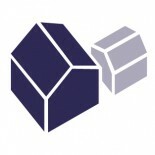 It’s on this site… https://accessorydwellings.org/2012/11/20/appraisal-journal-on-adus-and-an-editorial-on-evidence/ . You could bring that with you (I’d bring the full reprinted article, not the blog post about it), and you could ask that the appraiser use the income method to inform their work, even if it is not their primary method of valuation. In my experience, one of the biggest issues is that lending and appraisal people simply do not know the legal uses of these properties. The AJ article is a way to ease them into that without lecturing. If they did know the legal uses, I feel like they would be less arbitrary. “$10,000” is a number that seems to come up a lot in appraisals where ADUs are concerned. I’m not sure why this is the arbitrary number that is applied. It may relate to silly GSE insistence that ADUs be given only “incidental” value (see the AJ article). Let us know what happens! I’d also love to hear about your ADU and if you’re interested do a project post about it. This entry was posted on January 10, 2012 by Martin John Brown in Financing, News, Policy & Trends and tagged activism, featurepost, financing, permitted, research.